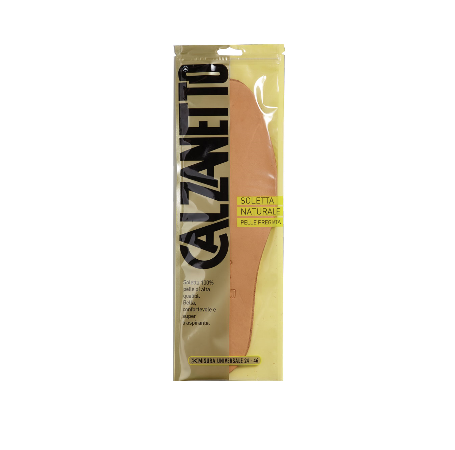 Insole ideal to ensure a natural transpiration of the foot. Universal size from 24 to 46. Cut out the insoles to the desired size by following the printed broken line. Then position them inside the shoe so that the tissue side is the one in contactwith the foot.